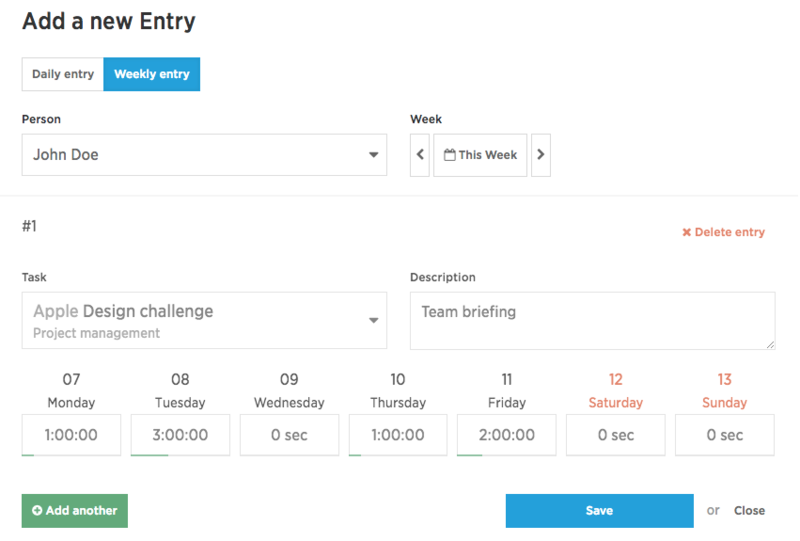 Enter your and other people's hours for the past days in an easy-to-navigate timesheet chart. Proper time tracking is a prerequisite to correct calculation of financial metrics about your company’s performance and effectiveness. That’s why we want to make it as convenient as possible. Tracking time retrospectively using the Timesheet is just one of the options how to track time. Learn about the other options and see what’s best for you. You can also use the Start/Stop function. 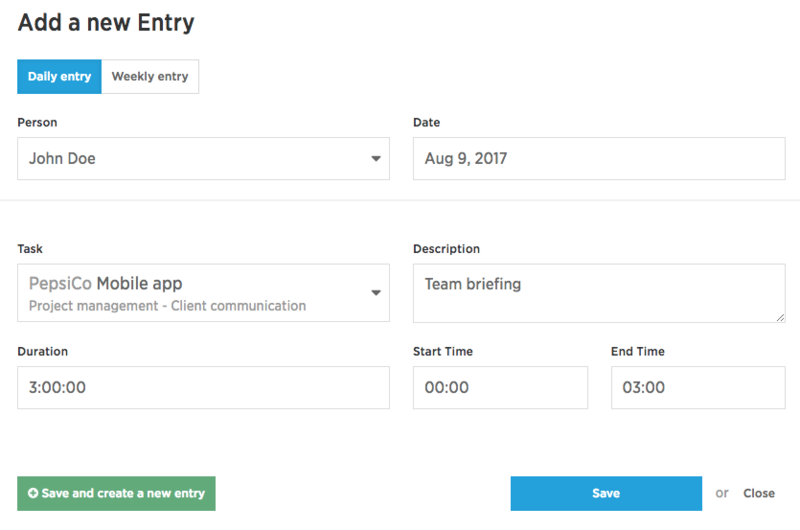 Start by selecting Timesheet in the top bar and click the green Add new time entry button. 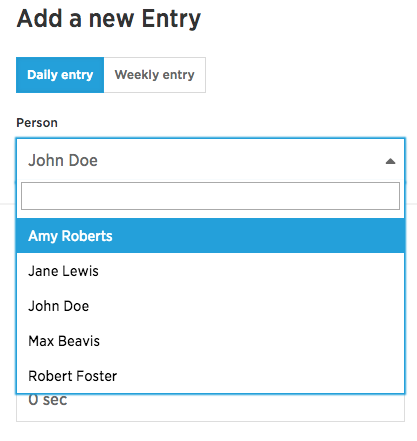 There are two ways of entering time into the timesheet: - for the day - for the whole week. 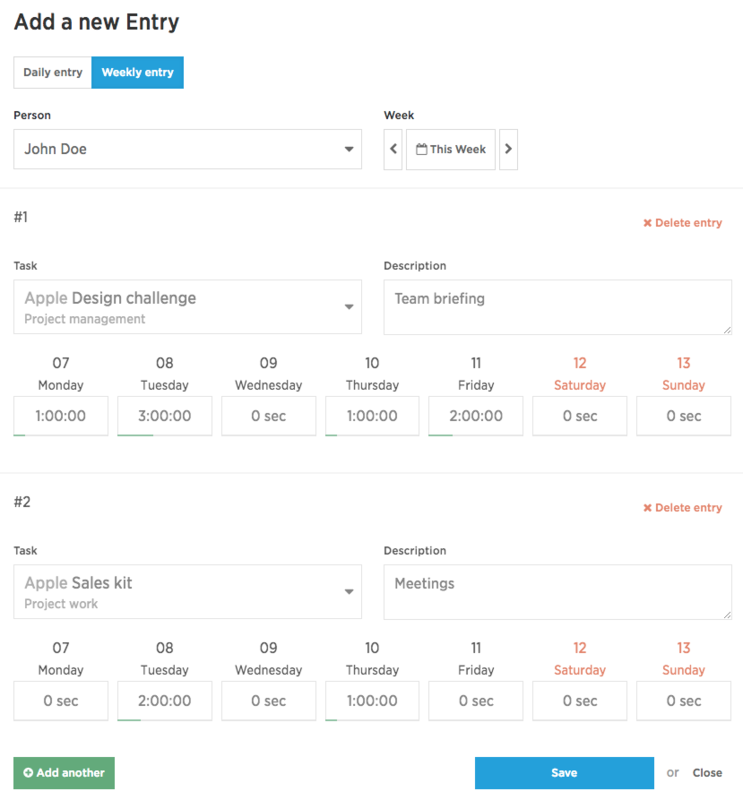 In this case, you can consecutively enter all the projects you want to assign tracked time to, and save just once. When entering tracked time retrospectively using Time tracking, you can only add records for yourself. If you need to enter someone else’s time, use the Timesheet.